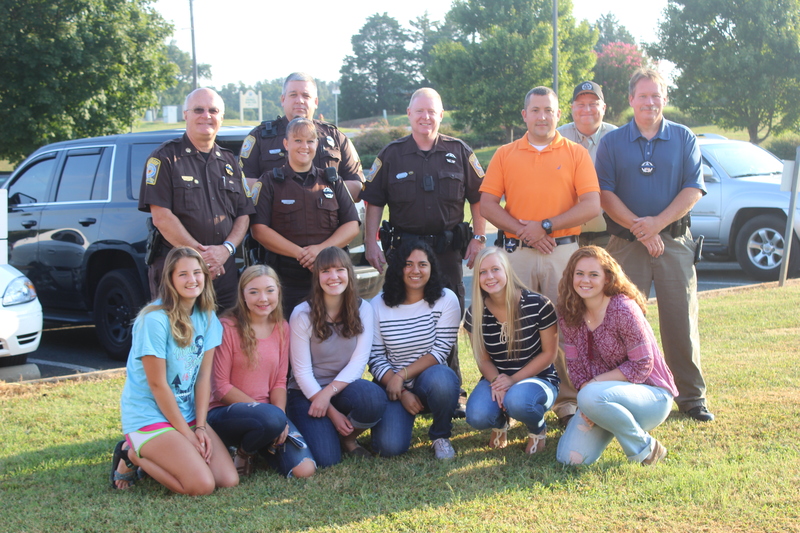 On Tuesday morning, August 30, 2016, members of the Jefferson Forest High School Ruri-teen Club visited the Bedford County Sheriff’s Office. To show their appreciation and support to law enforcement, the club purchased breakfast biscuits for deputies. Club president Morgan Camper said their club was sponsored by the Goode Ruritan Club. She also said that this is their second year of existence and the club is a volunteer service organization who loves to help out the community. The members of the Sheriff’s Office would like to express our appreciation to this group of teens for their generosity and support. Members in photo are, left to right; Amelia Jones, Christen Wallace, Morgan Camper, Karishma Nair, Jordan Moon and Kayli Mull. Member not in photo; Taylor Moore and Club Sponsor Chela Rue.